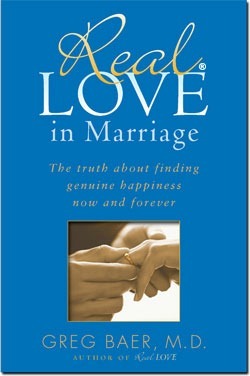 Real Love in Marriage: The Truth About Finding Genuine Happiness Now and Forever, by Greg Baer M.D. "With marriage down and divorce up, it’s tough to get and stay married these days. But therapist Greg Baer says you can have a happy marriage by learning to love your partner unconditionally. . .practicing Real Love."